Looking to sell a Daewoo digger or excavator? 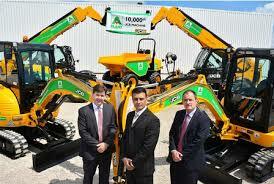 Do you have a Daewoo digger or excavator for Sale? Do you currently have Daewoo diggers for sale? Looking to sell your Daewoo excavator? Whether it’s one machine or a number of diggers, we can offer you a fair cash quote for your Daewoo digger or excavator. Get in touch with Sell My Digger, the expert buyers, today to find out exactly how much your old, unused excavation equipment is worth. For most people, Daewoo is a household name, having manufactured everything from televisions and other home appliances to cars and more. However, this South Korean company also has a successful manufacturing arm within the construction industry. 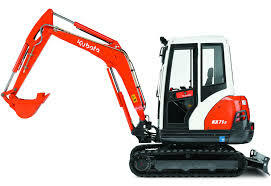 First launching in 1962 as Korea Heavy Industries and Construction Co, over the years, Daewoo produced a number of different specs and models of digging and excavation equipment, used by those in the construction industry across the globe. Unfortunately, the Daewoo name and subsequently its heavy industries business was dismantled by the Korean government in 1999. Despite the company’s dismantling over 15 years ago, Daewoo diggers are still offered through the Doosan brand. In addition, Daewoo diggers and excavators from the 1990s and earlier are still top quality machines which we are keen to purchase and offer cash prices for. In addition to Daewoo, we are also interested in acquiring diggers and excavators from other brand manufacturers, so please don’t hesitate to get in touch with us for a quote if you have digging equipment from another brand. So if you’re looking to Sell Your Daewoo digger or excavator or have a Daewoo digger or excavator for sale, why not fill out our quick online form, telling us a bit about your digger? Then we’ll get in touch as soon as we’ve reviewed your information, offering you a reasonable cash price for your machinery. Don’t dig yourself into a hole over unused excavation equipment; turn it in to cash today with Sell My Digger.